Is Steven Gerrard testing the next generation of Predator LZ? It is the worlds worst kept secret that the biggest brands use their very best athletes to test their coming products and we think, we have caught Adidas with their hand in cookie jar. We have spotted Liverpool's talismanic captain Steven Gerrard at several training sessions in a pair of blackouted boots, which are quite possibly the next generation in the Predator-collection. Adidas' Predator-collection is among the most renowned and acclaimed boot silos ever and with stars like Zinedine Zidane, Michael Ballack, David Beckham and naturally also Steven Gerrard all being users of the boot throughout its history, that is no wonder. 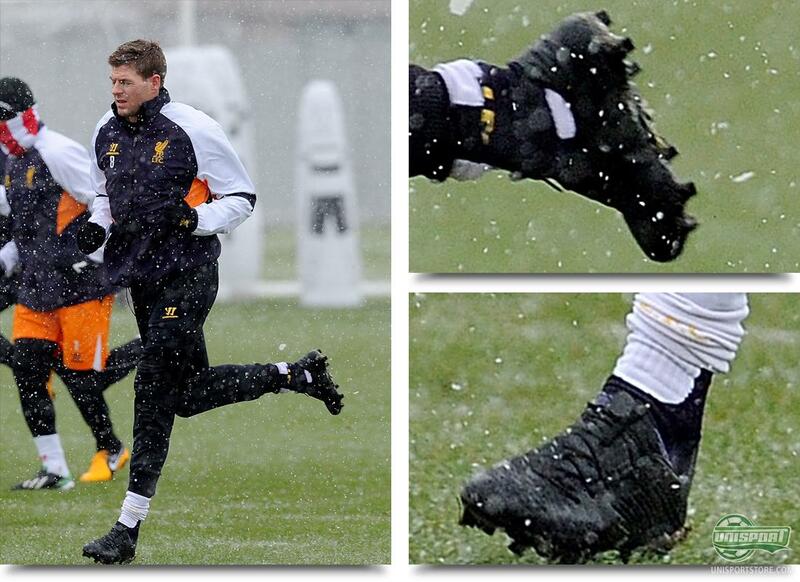 Now it in the meantime looks like the last of the formerly mentioned bunch, is testing an until now unseen Adidas boot, which could very well be the Adidas Predator LZ II. The blackouted boot has a lot in common with the current Adidas Predator LZ, which is why we suspect it of being the next generation. If you take a closer look at the upper, you can make out the marking, which shares quite a resemblance to the five lethal zones we know from the current Predator LZ. They are, however, not completely like them and Adidas could therefore have made some new modifications and alterations. 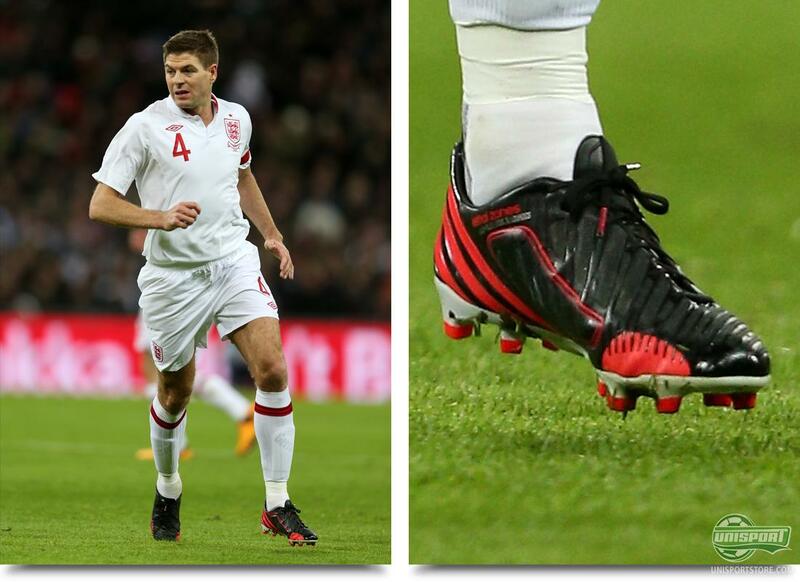 Steven Gerrard is and has throughout his illustrious and prolific career been an enormous icon for the Adidas Predator-collection. 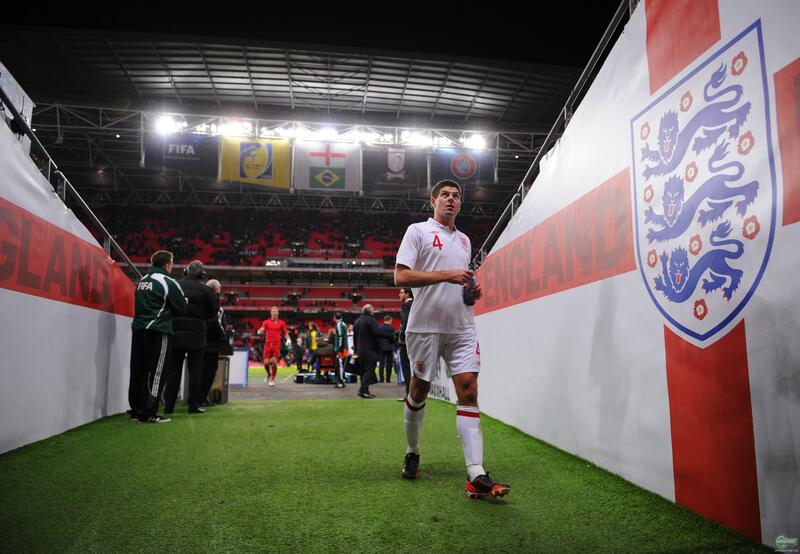 The England international has especially been known for his powerful long distance rockets, which helped build the Predators reputation as a boot with which you could score the thunderous 35 yarders. 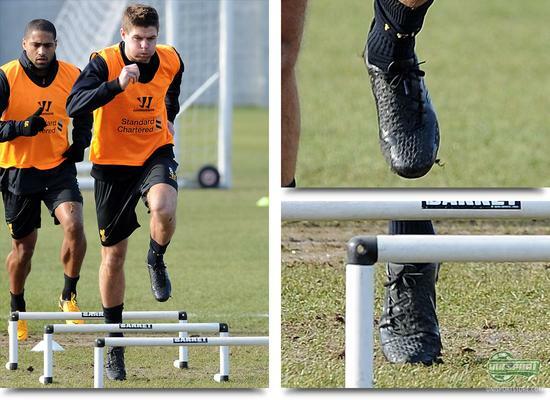 Currently the scouse-lad uses the Adidas Predator LZ Red/Black, but judging from the latest pictures there might be an update coming for Captain Fantastic. The design on the blackouted prototype points towards a very radical overhaul. We can, on the lateral side of the boot, see the three characteristic Adidas stripes and if that design feature sticks, we are sure there will be a lot of very happy Predator fans out there. What else Adidas have up their sleeves, when it comes to design and technology, only time will tell, and we are definitely looking forward to seeing the finished product. We will be keeping a sharp eye on Steven Gerrard, as well as other Predator stars around the world in the time to come, hoping to catch more glimpses of this prototype. Du you also think it is a Predator LZ II? Or could it be something else? Let us hear what you think in the box down below.